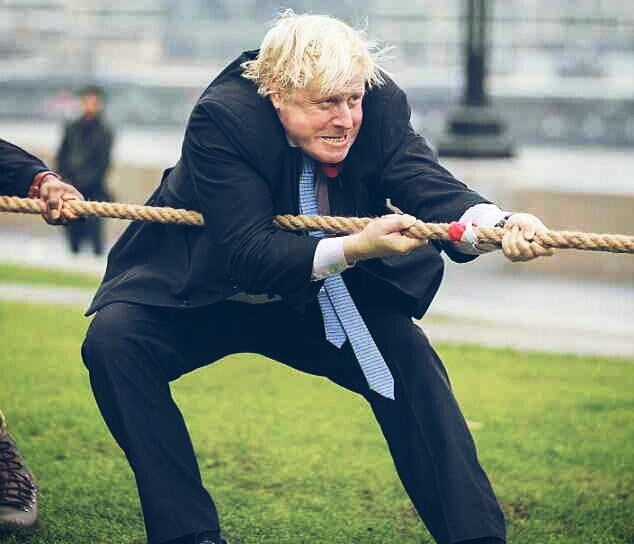 I WANT TO BE PM! Amber Rudd only won her seat by 346 votes!! The Home Secretary only won her seat of Hastings and Rye by 346 votes after a recount. The top job in the Conservative party could be available very soon. 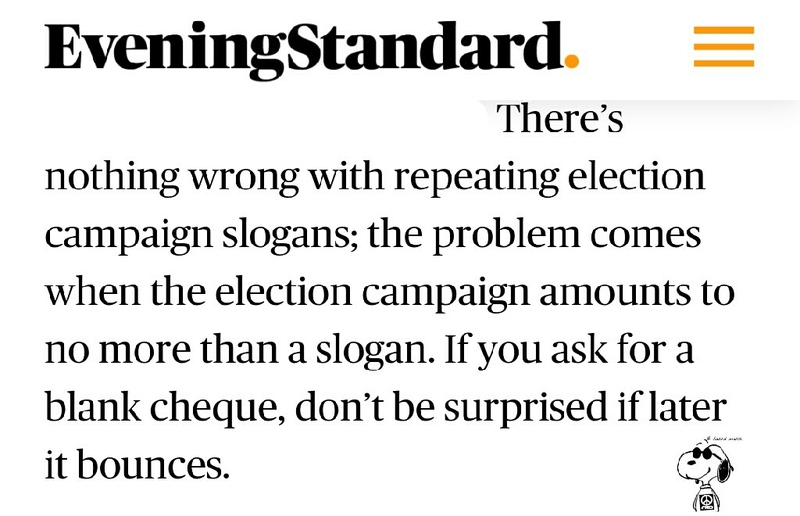 Amber Rudd run a very bad election campaign. In 2017 Amber Rudd was asked the average price of a house in Hastings and she said…. But in the last few weeks Amber Rudd has employed Lynton Keith Crosby!? Thinking there might be a snap election, the Home Secretary has placed adverts for help to spread her message in Hastings on Saturday 21st October, she advertised for paid support to show Hastings how popular she is, on facebook and online. Amber Rudd has paid for people to come down to her seat from London and Oxford!!! And it turns out one of her top supporters coming to Hastings, from Oxford University, George Wright, , posted this on facebook…. “I worry for our country, as a result of what’s happening within the Conservative party. Roger Mullin, SNP Treasury spokesperson, has sent a shocking letter to Claire Bassett, Chief Executive of Party and Election Finances at The Electioral Commission. 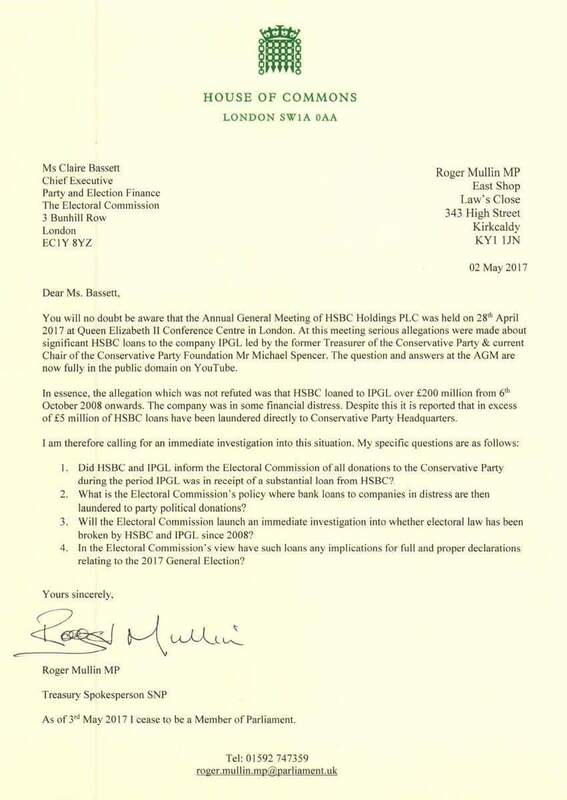 In the letter Mr Mullin refers to ‘serious allegations’ made at the HSBC bank AGM. Mr Mullin has called for an immediate investigation into the allegations by The Electioral Commission. Roger Mullin has asked four key questions that need to be answered as soon as possible, especially as the UK is currently holding a snap General Election. 1. 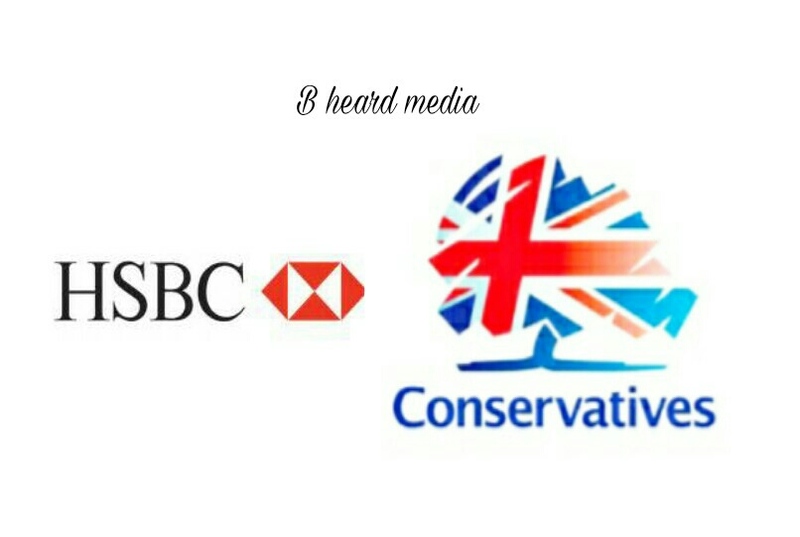 Did HSBC and IPGL inform the Electioral Commission of all donations to the Conservative party during the period IPGL was in receipt of a substantial loan from HSBC? 2. What is the Electioral Commission’s policy where banks loans to companies in distresss are then laundered to party political donations? 3. Will the Electioral Commission launch an immediate investigation into whether electioral law has been broken by HSBC and IPGL since 2008? 4. In the Electioral Commission’s view have such loans any implications for full and proper declarations relating to the 2017 General Election? The serious nature of these allegations should send shockwaves in Conservative HQ and comes on top of the 2015 Tory Election fraud, with the Crown Prosecution Service set to announce in the next few weeks if anyone will face criminal charges. Theresa May should be very worried! Today former Chancellor George Osborne started his new job as editor of The London Evening standard. It is widely know that Mr Osborne had a major fall out with the current Prime Minister Theresa May over who would lead the Conservative party and be Prime Minister after David Cameron resigned over the Brexit vote. Today was Osborne’s first chance to get his revenge on Theresa May and he didn’t hold back in his editorial. 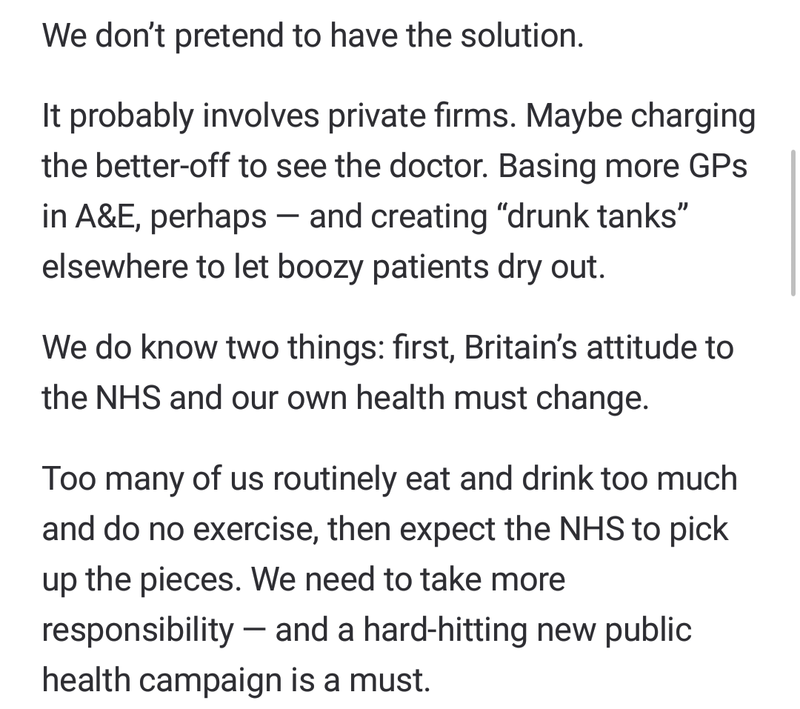 In today’s (28/04/17) Sun newspaper editorial, the paper attacked our NHS and in doing so revealed how it would like to see the NHS run, after a possible Theresa May landslide General election victory. 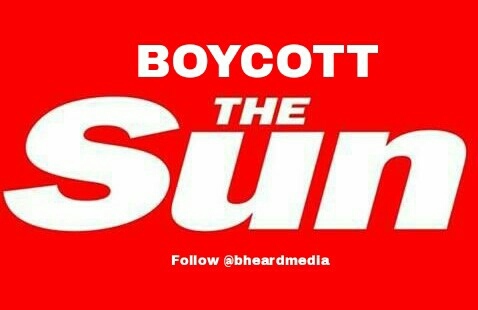 The Sun is owned by Worldwide media billionaire Rupert Murdoch, who owns 3 national newspapers and is currently trying to get full control of UK Sky TV.He has massive power and influence over the Conservative party. 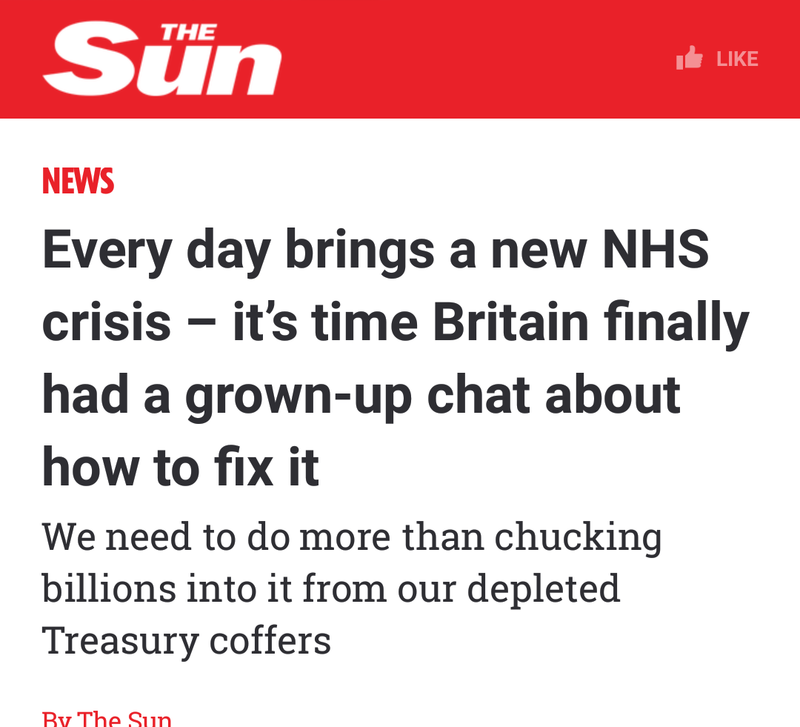 Mr Murdoch also helps the Conservative party plant it’s agenda in his flagship newspaper The Sun, read by over 1,666,715m readers. So today’s editorial comes as no surprise to many from the left. As many people fear that the Tory agenda of destroying our National Health service by running it to the ground, selling it off to the highest bidder and bringing in charges for patients, will become a reality, if Theresa May wins on 8th June. Boris Johnson, Mayor of London has been accused of being responsible for the death of a elderly man, who died in a house fire in Camden, on Monday night. Yesterday morning (Monday 26 October) a fire broke out at a property in Camden Road but firefighters from Kentish Town fire station, the nearest to the scene, were unavailable as they were tackling another large fire on Finchley Road. As a result London Fire Brigade were forced to mobilise fire crews from as far afield as Soho, Shoreditch, Lambeth and Stanmore resulting in a wait of 13 minutes before making it to the scene – more than double the six minute response time target. By the time the fire engines arrived from Soho, the pensioner had already either jumped or fallen from his window and had died. The longstanding Camden based Belsize fire station, one of the 10 stations closed in the capital by Boris Johnson in 2014, may have been able to mobilise fire crews to Camden Road in time to save the man’s life, said FBU London regional secretary Paul Embery. 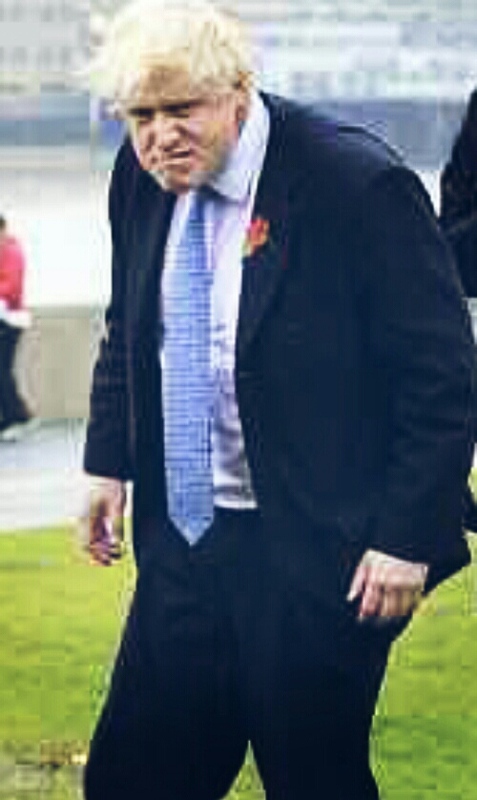 “Boris Johnson has got serious questions to answer after this tragedy”, he said. “Last year, he forced through massive cuts in the London Fire Brigade, and we warned him that it would lead to longer response times and jeopardise public safety. It is not nice to be proved right. London Assembly member for Barnet and Camden, Andrew Dismore, said: “Yet again we have seen how wrong it was to close Belsize fire station. This is the second time this year we have seen how stretched the fire brigade is in answering emergencies in Camden when there is more than one incident at a time.